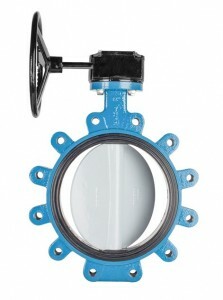 BOS-CL Resilient Seated Butterfly Valves are designed to handle a wide variety of liquids and gases. They are available in lugged body design with discs of nylon coated ductile iron, 316 stainless steel or aluminum bronze. BOS-CL valves feature a one-piece body, high performance seat bonded to a solid backing ring, three heavy duty bearings, and a blow-out proof shaft.